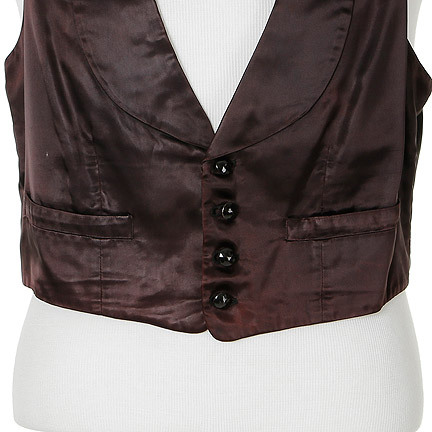 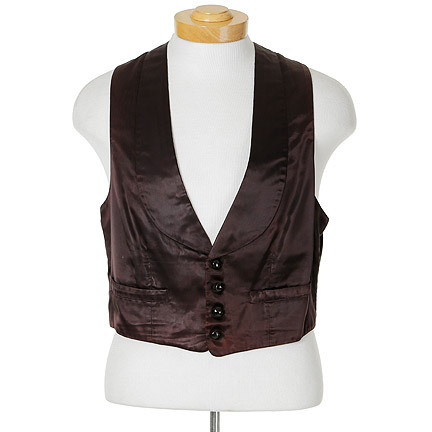 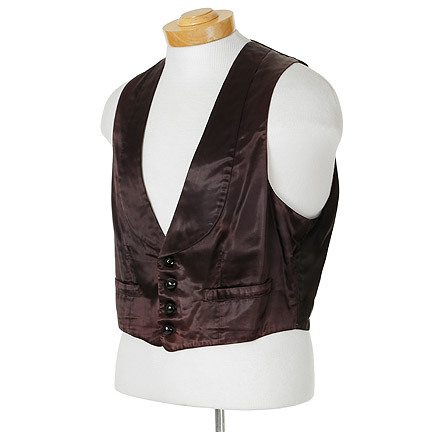 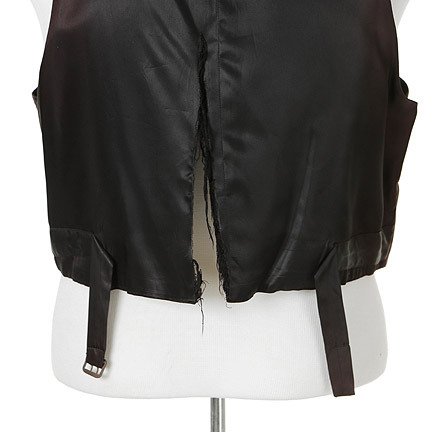 This vest was worn by the character “Andy Clark” portrayed by Victor Mature in the 1950 motion picture “Wabash Avenue”, costarring Betty Grable, and Phil Harris. 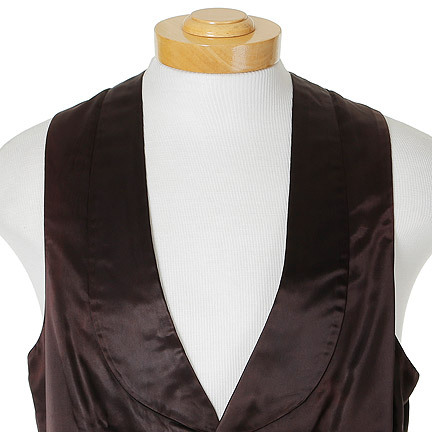 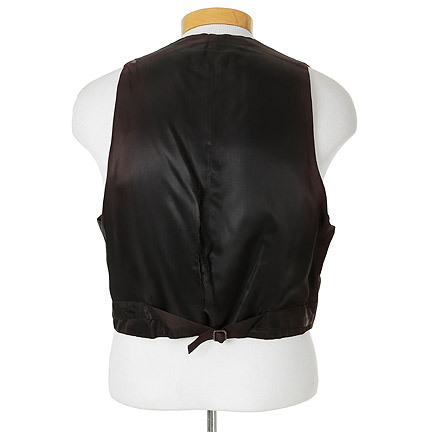 The black satin tuxedo vest has a shawl lapel and four button closure. 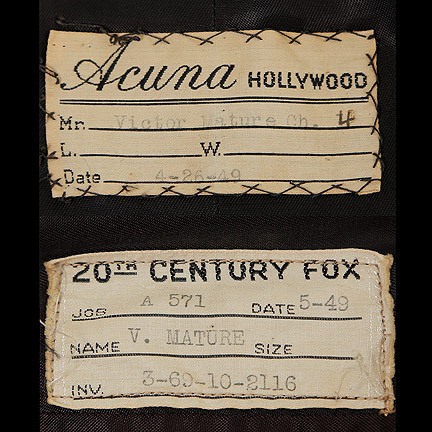 Internal “Acuna Hollywood” label with “Victor Mature Ch. 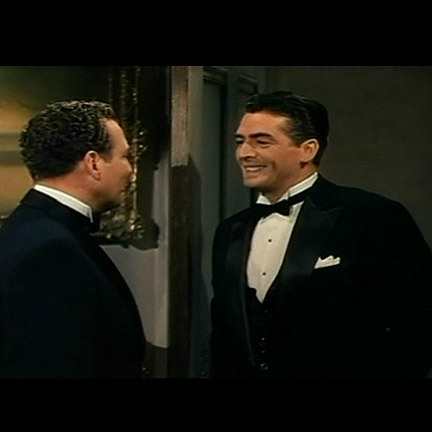 4, 4-26-49” typed on it, and “20th Century Fox” label with “A 571, V. Mature, 3-69-10-2116” typed in black ink. 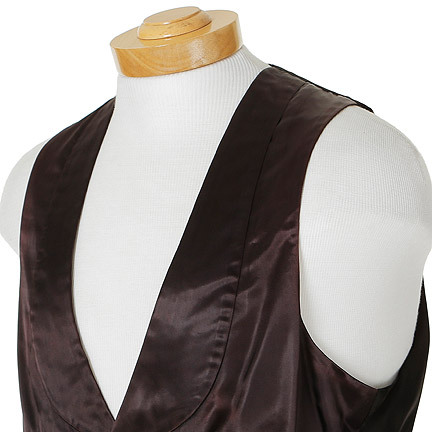 The satin on the vest’s exterior has faded due to age. 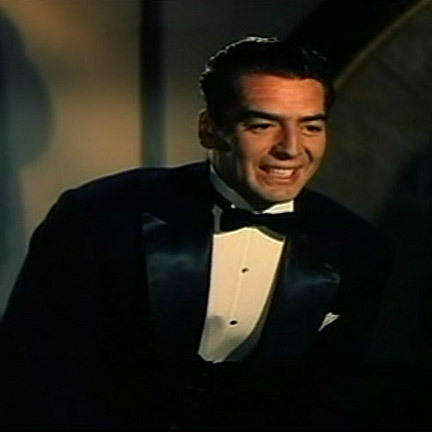 Wabash Avenue is a remake of the 1943 hit film “Coney Island” and follows “Andy Clark” (Victor Mature) as he attempts to get even with his crooked ex-business partner “Mike Stanley” (Phil Harris), while also courting burlesque queen “Ruby Summers” (Betty Grable). 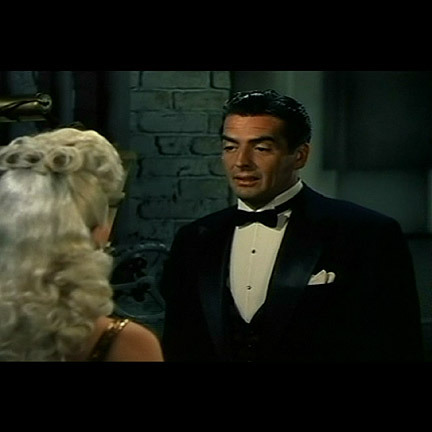 This musical featured actress Betty Grable at the height of her career, and received an Academy Award nomination for Best Original Song. 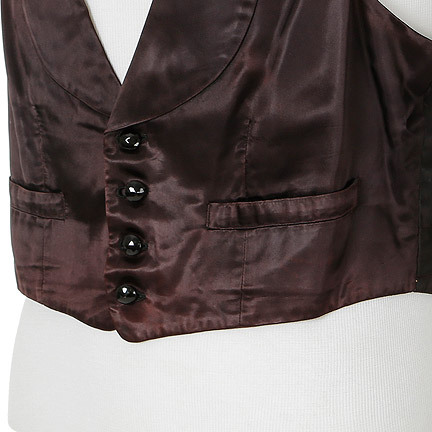 This garment is in fair vintage condition, and comes with a certificate of authenticity from the costume house.